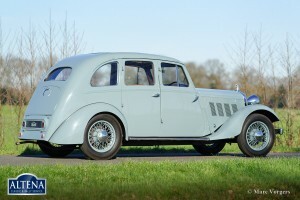 Rover 14 HP Streamline saloon, year 1935. 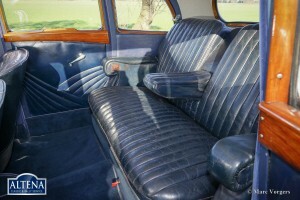 Colour pale grey/blue with a dark blue leather interior and dark blue carpet. 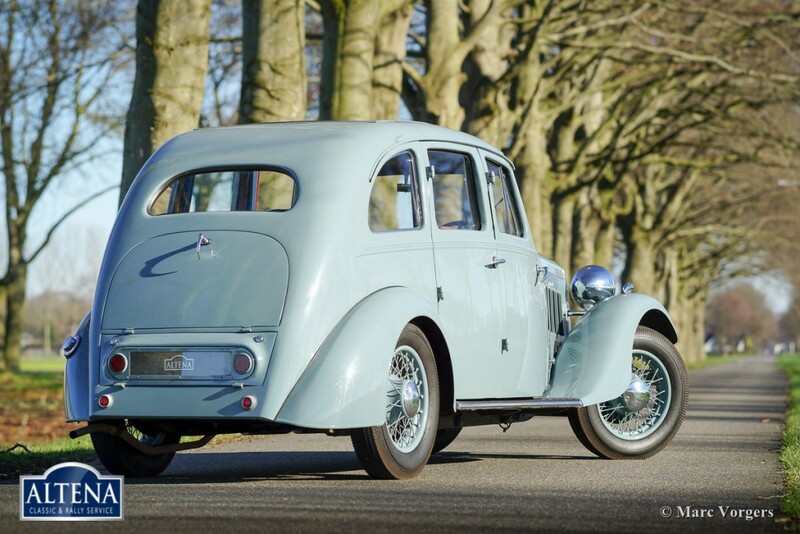 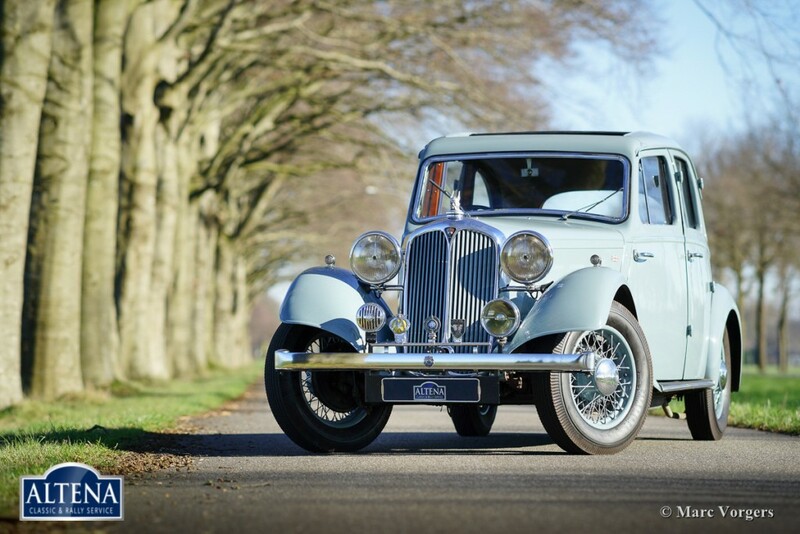 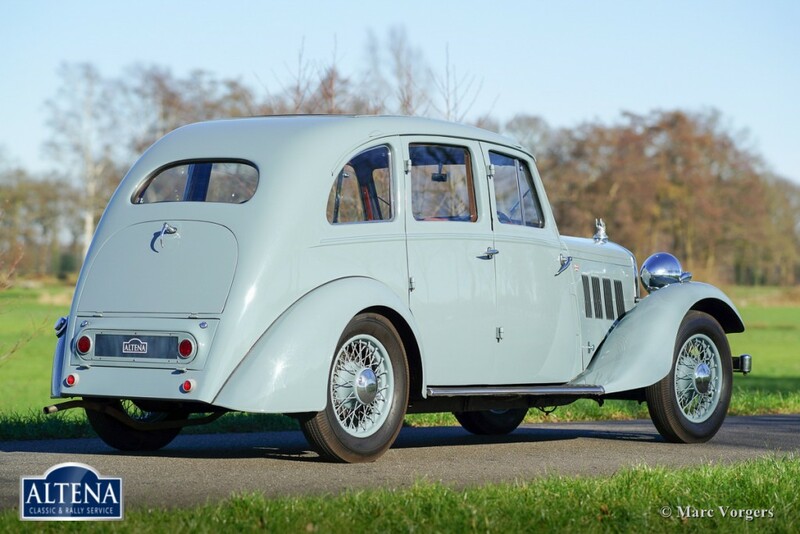 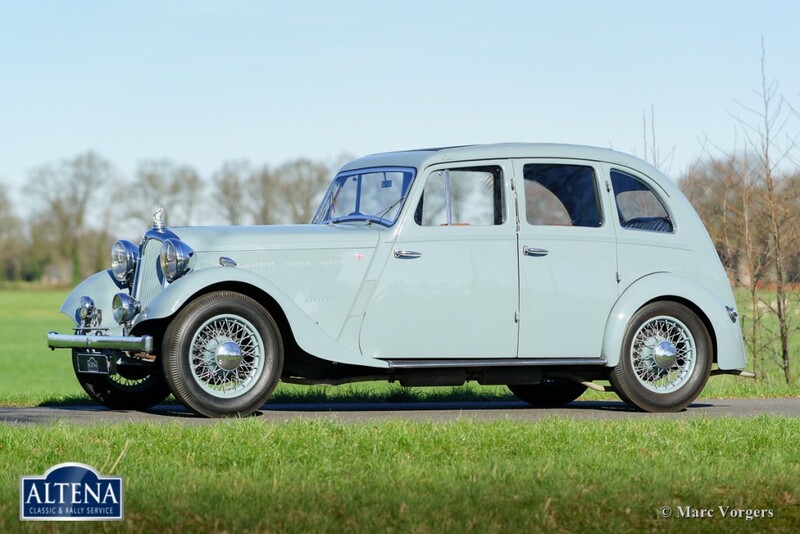 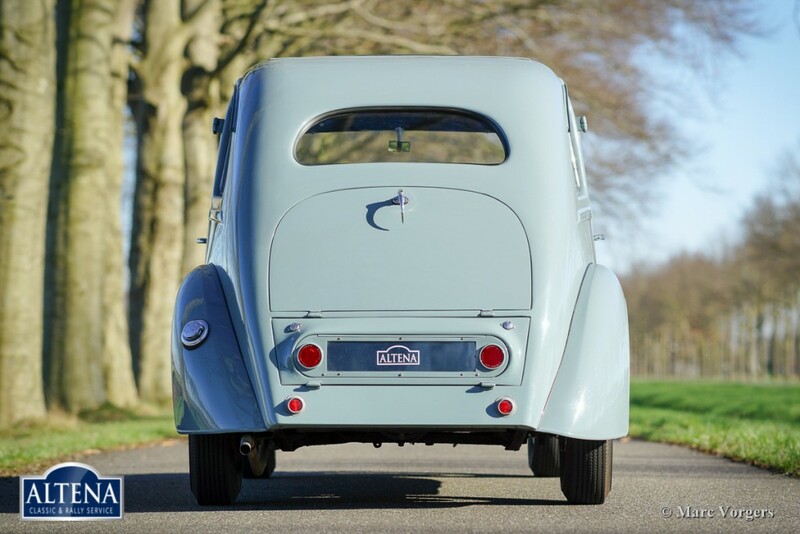 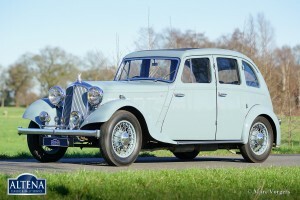 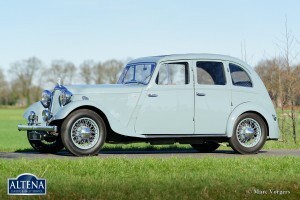 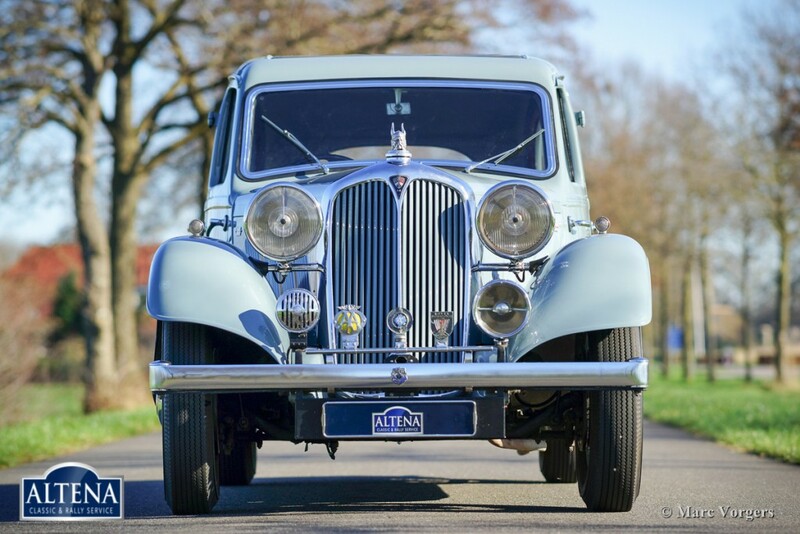 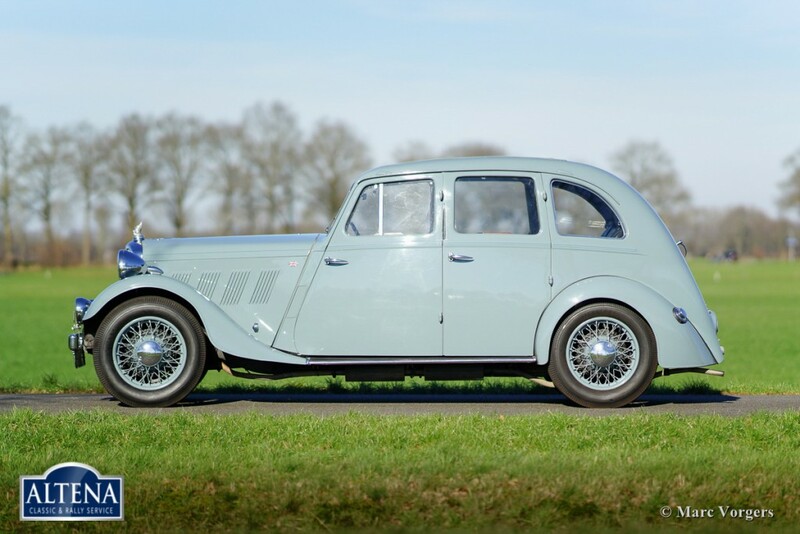 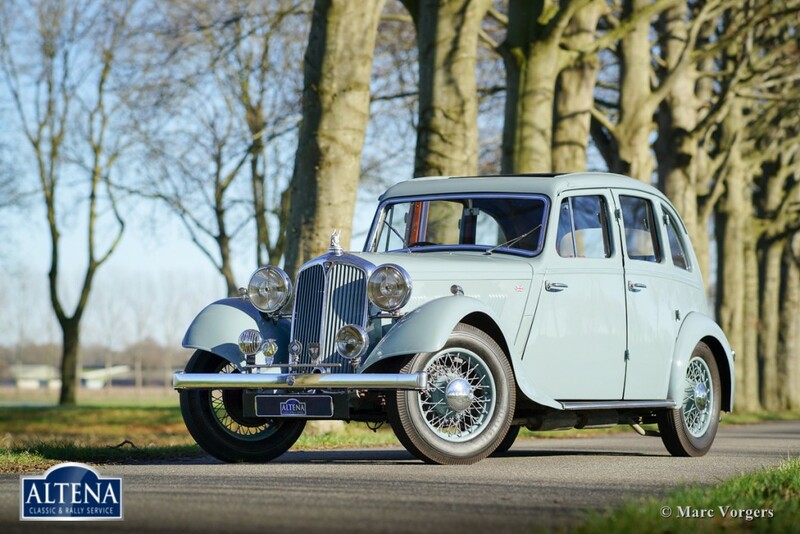 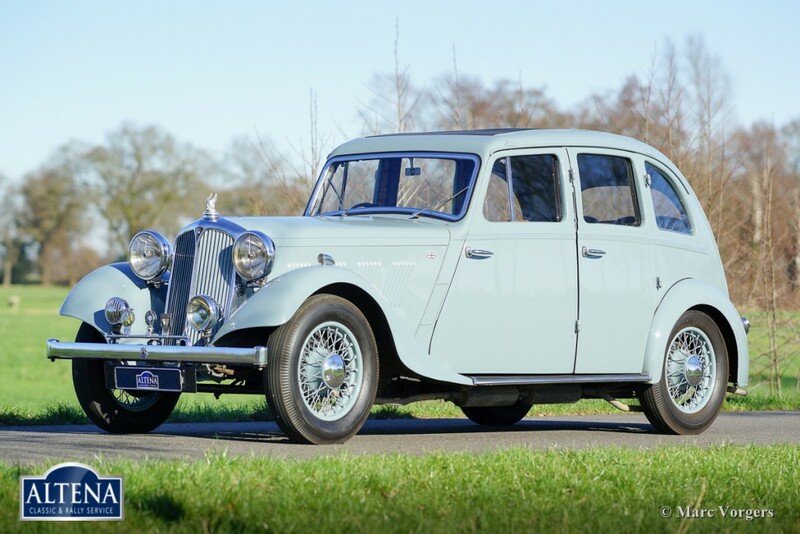 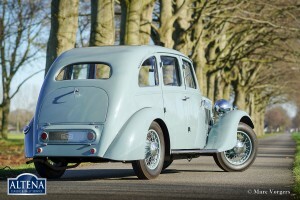 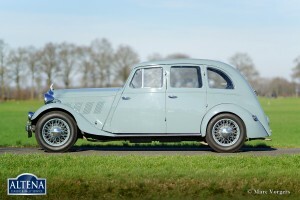 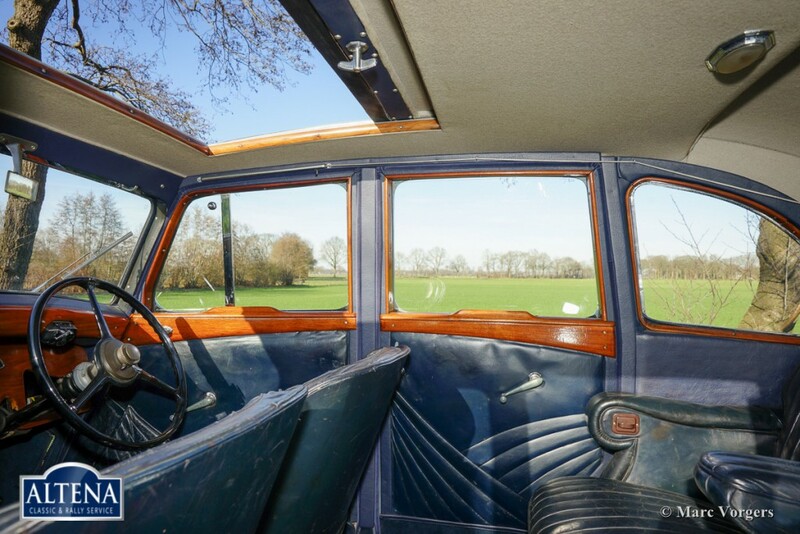 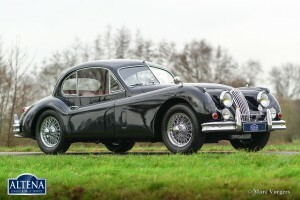 This magnificent and very rare Rover 14 HP Streamline saloon is in very good and VERY original condition; a true time-machine! 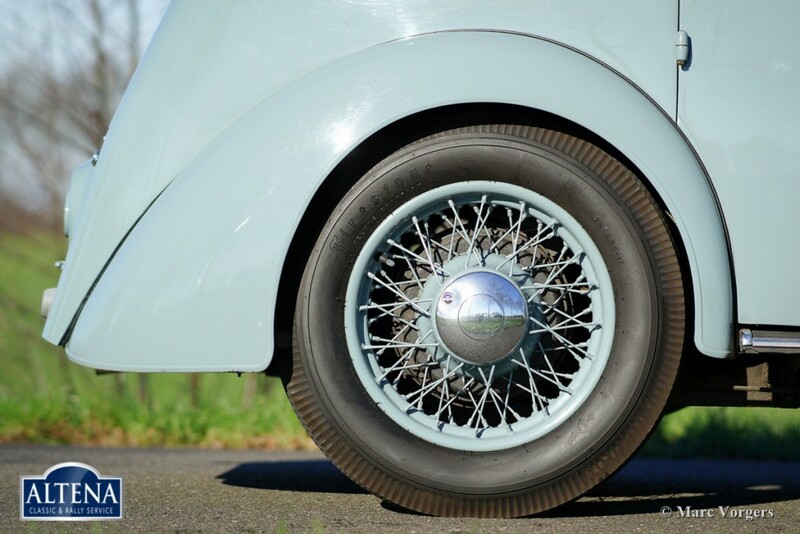 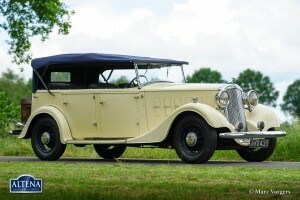 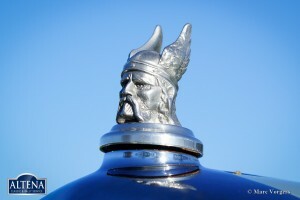 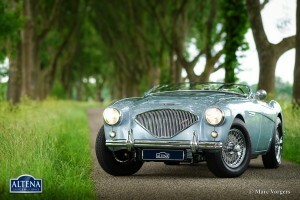 The automobile was first road-registered in Great Britain on 10 May 1935. 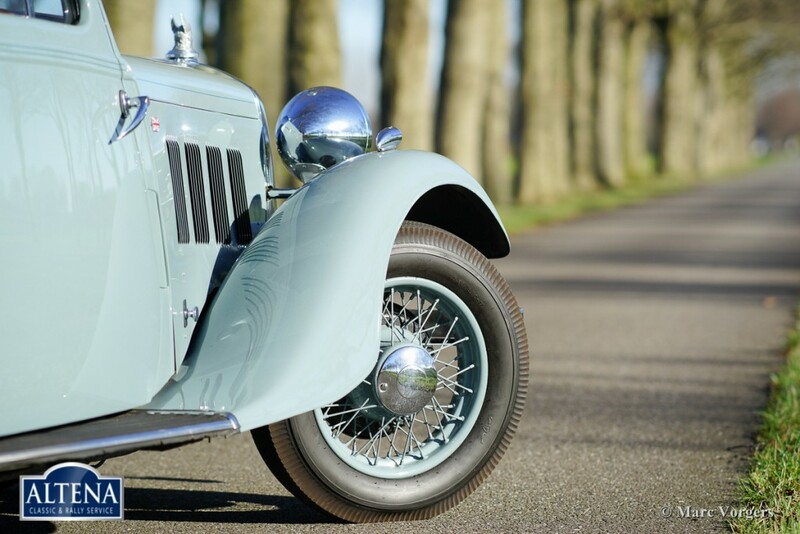 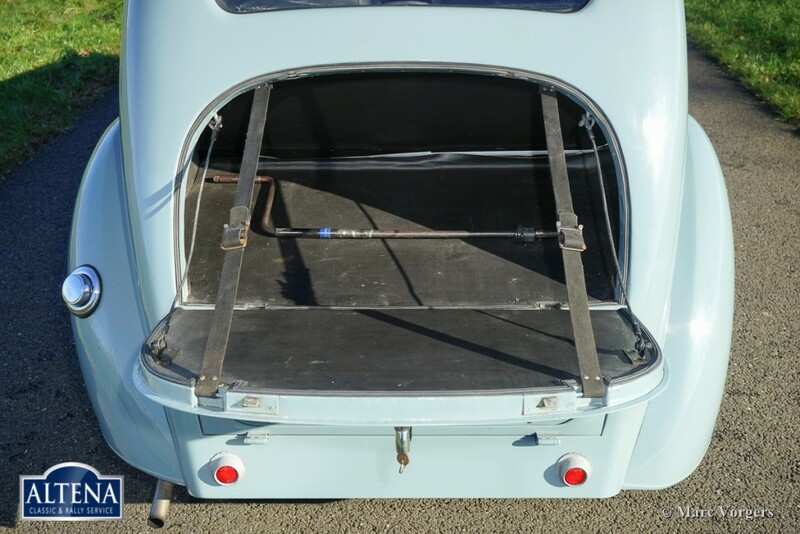 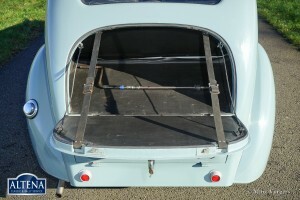 The Streamline saloon was built by Rover with all-aluminium bodywork. Only fourteen cars of this type have been built and only two are known to survive today. 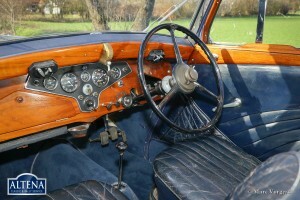 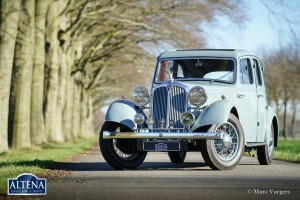 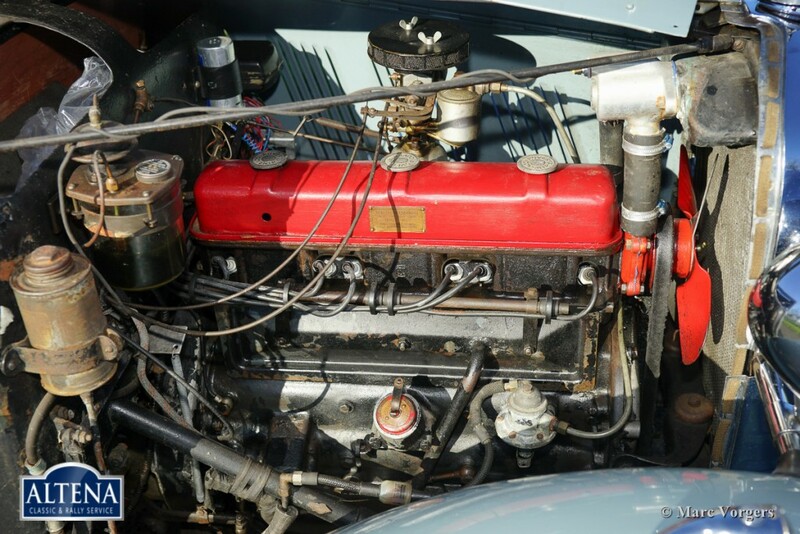 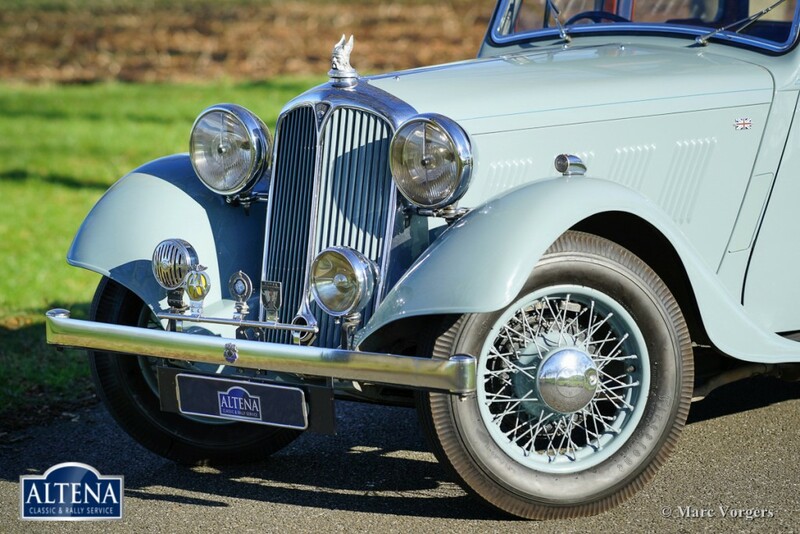 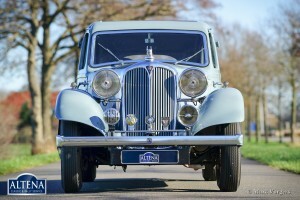 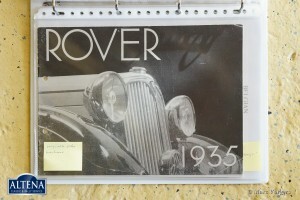 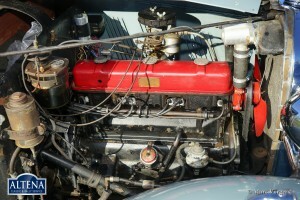 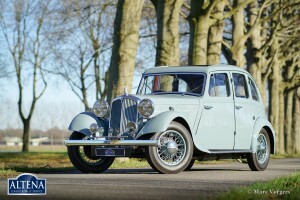 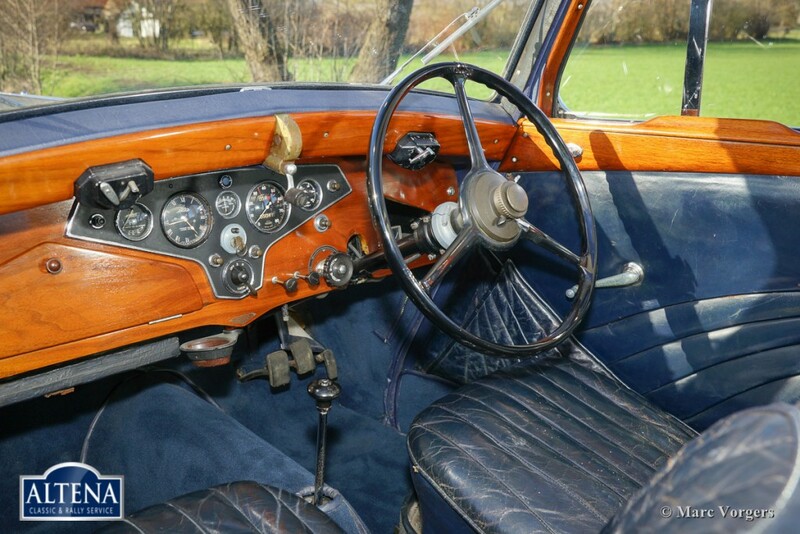 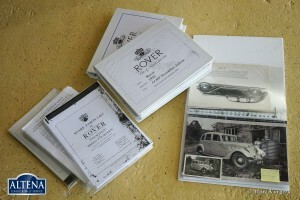 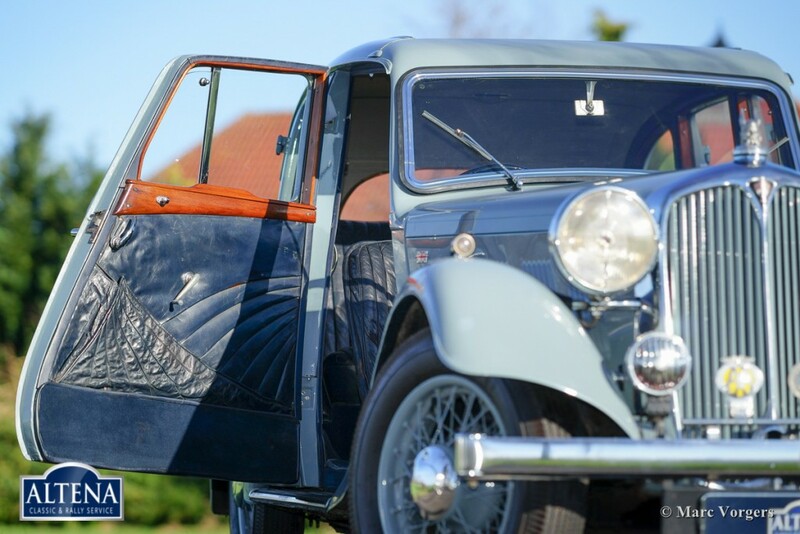 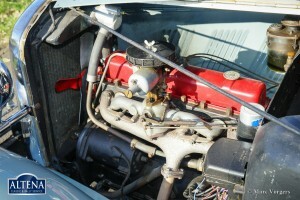 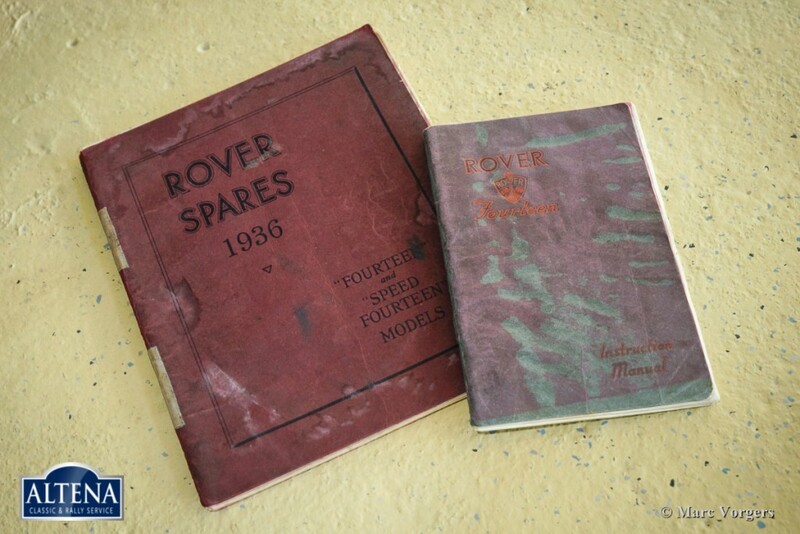 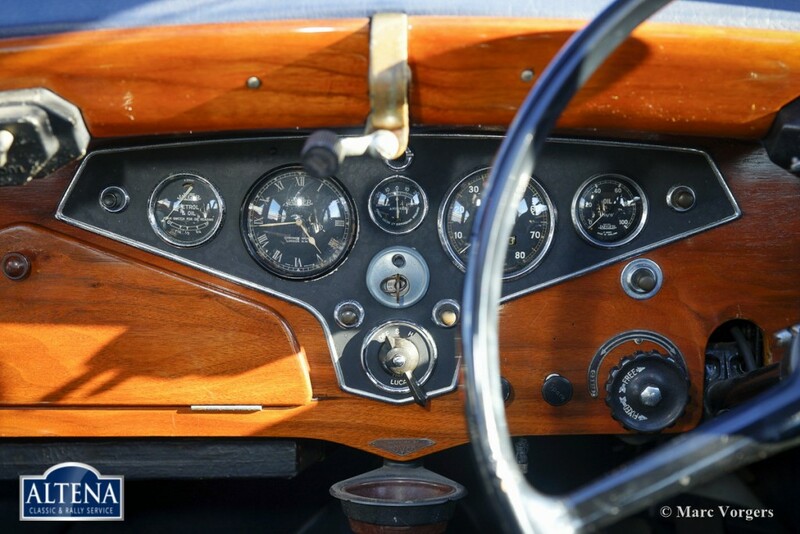 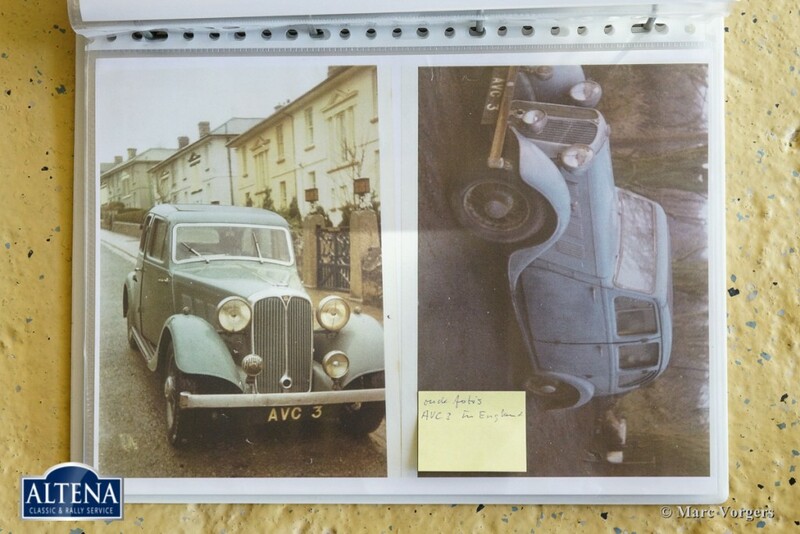 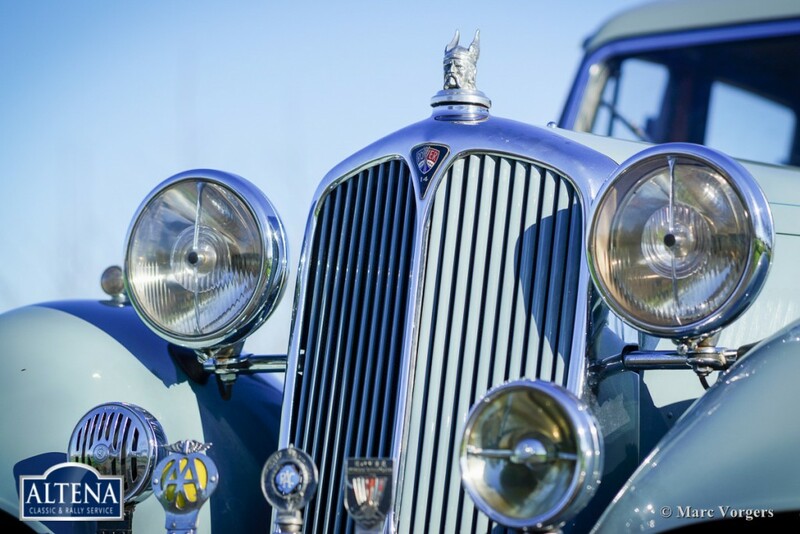 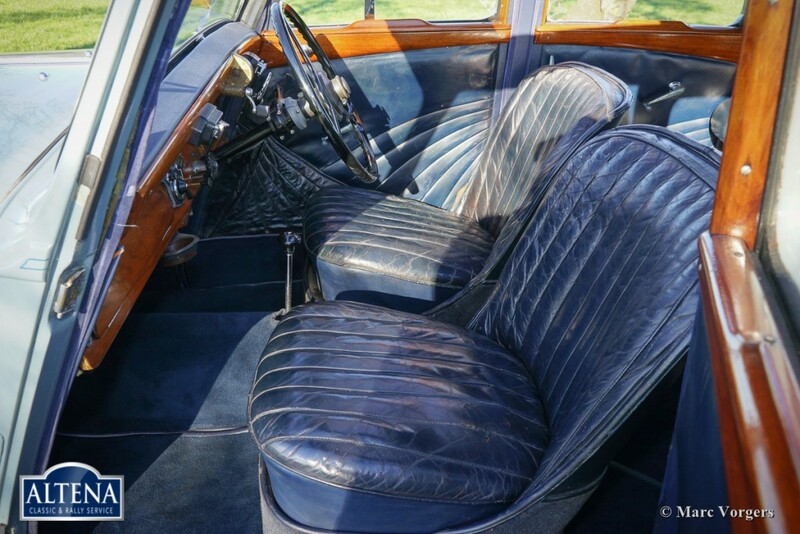 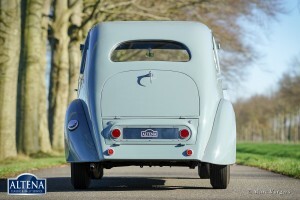 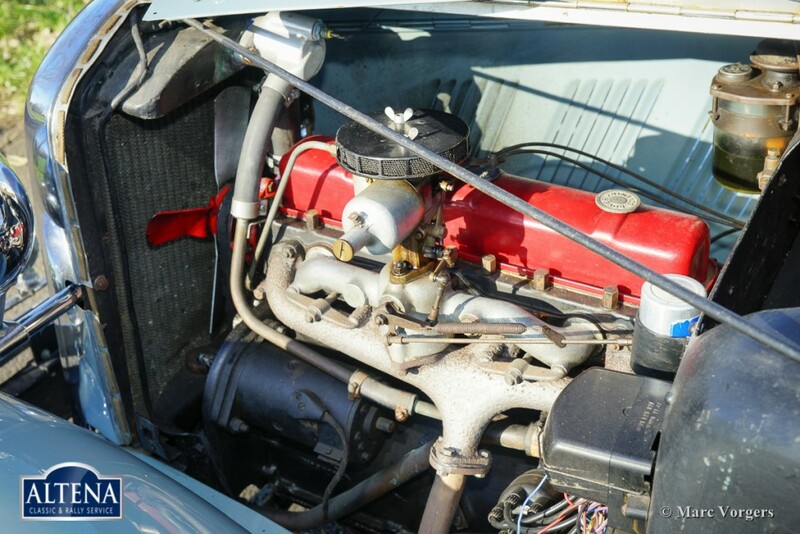 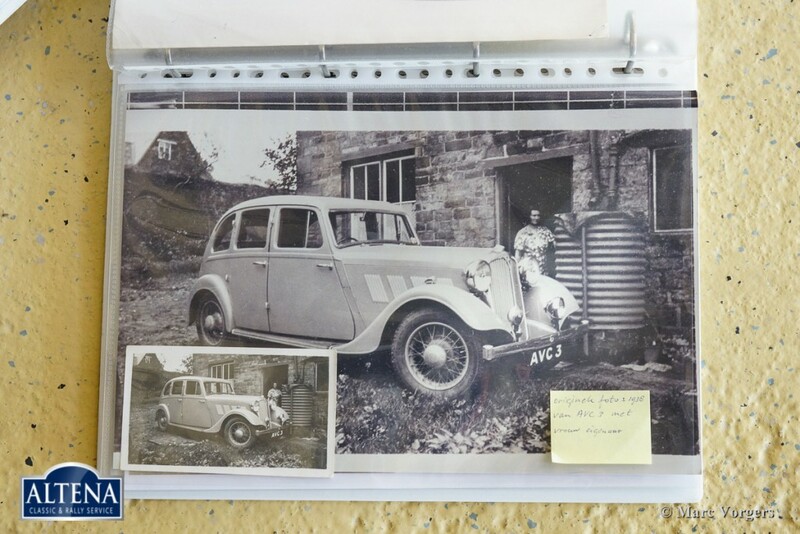 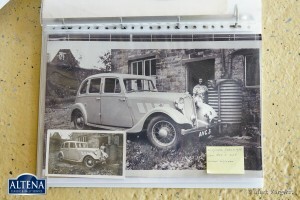 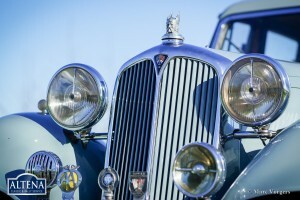 This Rover 14 HP is perfectly and lavishly documented from being new! 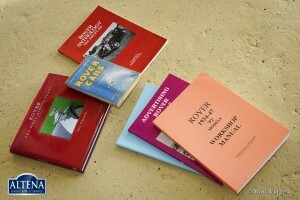 Documents and photos from the first owner are included, the original owner’s manual, original sales brochure, original parts-book, and much more contained in heavy files (see photos). 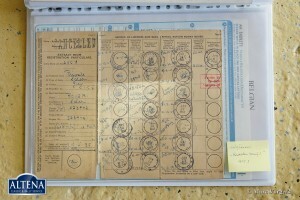 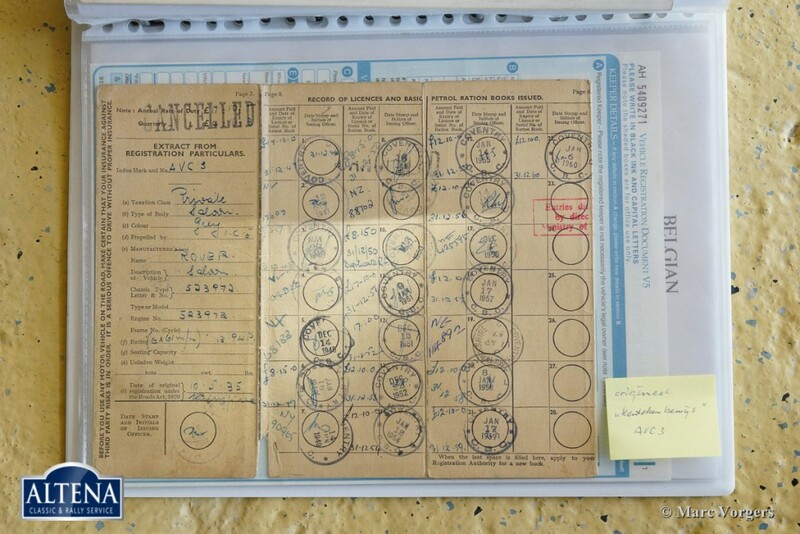 The old UK registration is also present. 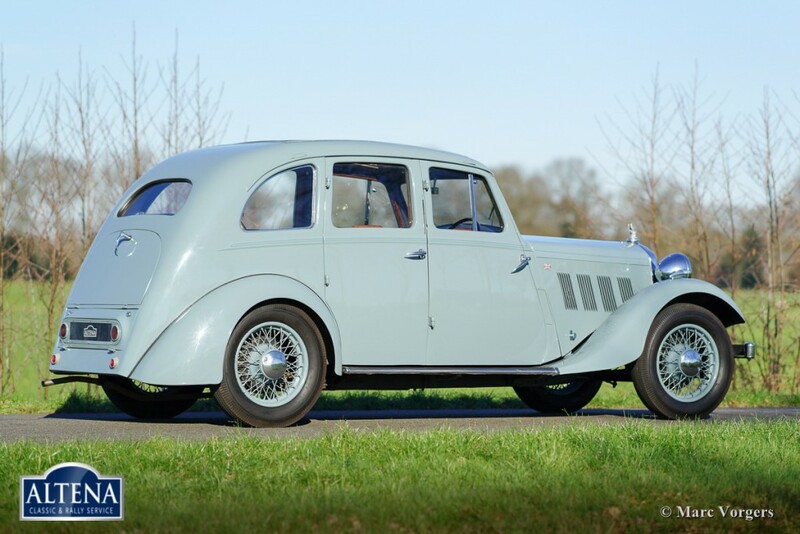 This is a very special pre-war Rover and a remarkably good driver car at that! The car drives superb; it features a smooth running six-cylinder engine, a magnificent 4-speed manual gearbox and it offers a very comfortable ride.